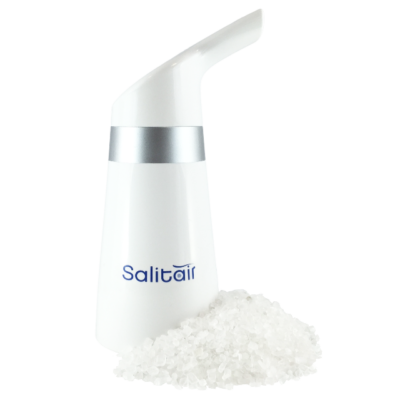 Salitair offers natural salt therapy and can be beneficial for asthma, colds, hay fever, COPD or rhinitis. The Salitair is a convenient, portable and refillable salt inhalation Class I Medical Device. It allows the user to gain lasting relief from respiratory disorders and can help make breathing easier. The development of method, principles and advantages of halotherapy. Encapsulating the benefits of halotherapy within a portable haloinhalator. Speleotherapy has been recognized as a highly effective drug-free treatment method. Great experience in the treatment of patients with various forms of chronic nonspecific pulmonary diseases.